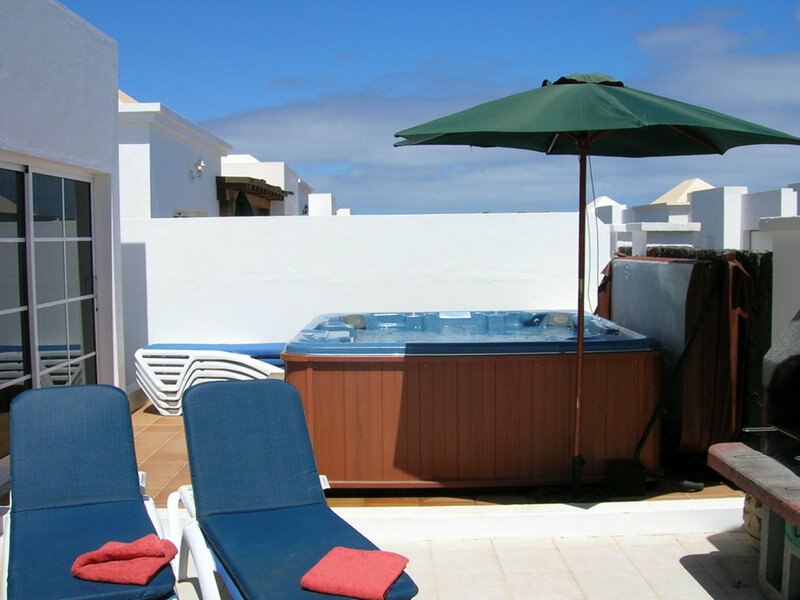 Villa Rachel is a detached private villa with fully heated pool and hot tub option. It also has a shaded patio and pergola area. Free towels, high chair, cot and Wifi. Adjacent to Villa Emma, Villa Rachel is a sister villa, identical in specification but complete with its own unique character. It’s decorated with a rustic colour scheme, utilising a number of warm autumnal woods for doors, cupboards and tables. Villa Rachel is ideal for those who want more of a getaway than simply location. 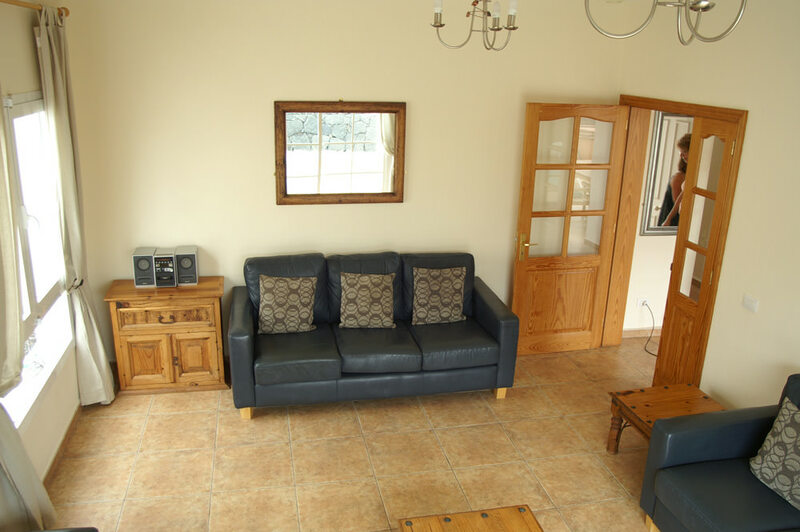 Four bedrooms, two with king size beds and two with twin beds. Two full bathrooms with bath and shower. 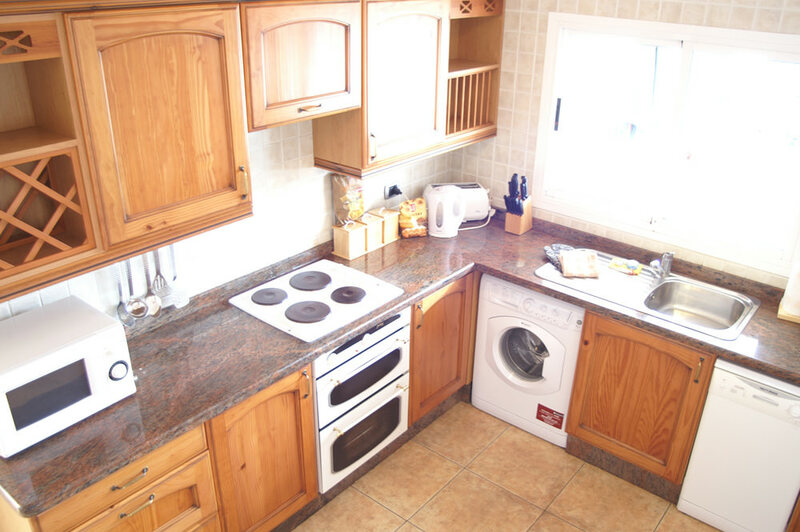 Fully fitted and equipped kitchen including washing machine and dishwasher. Lounge with leather sofas, TV, VCR, DVD and CD Midi. 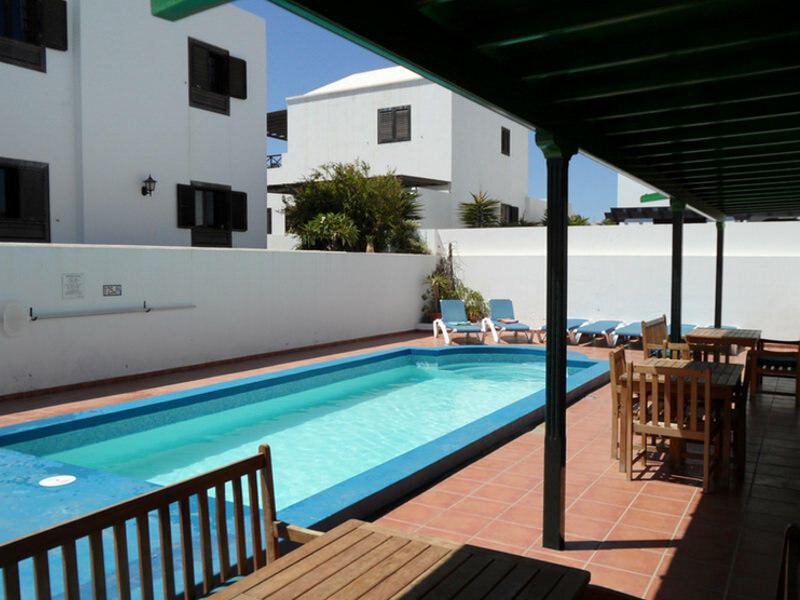 Terrace with fully heated private swimming pool, BBQ, patio furniture and sun loungers. Arrival day for those staying in Villa Rachel is normally Sunday. The mid-week towel replacement and maid service occurs on Thursday, to keep everything as comfortable as it is when you first arrive. 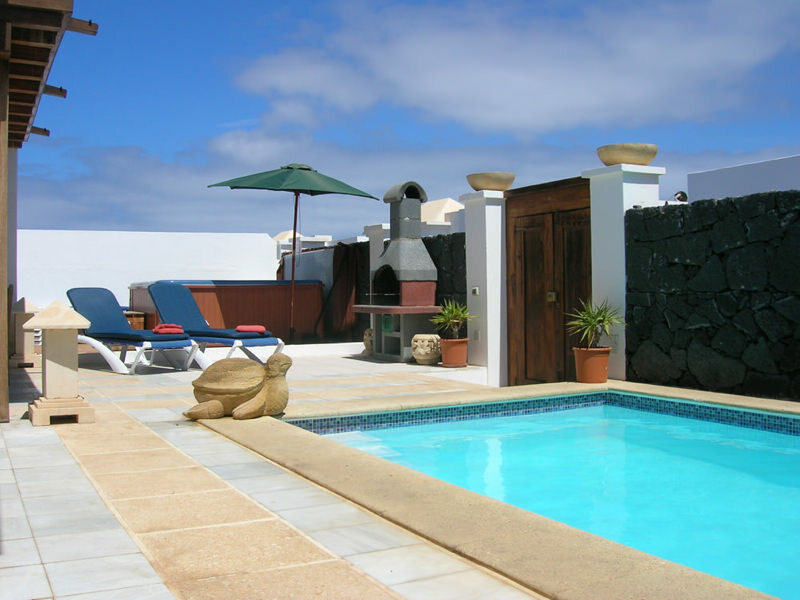 Villa Rachel is located adjacent to Villa Emma, so they can be rented together to accommodate for larger parties. 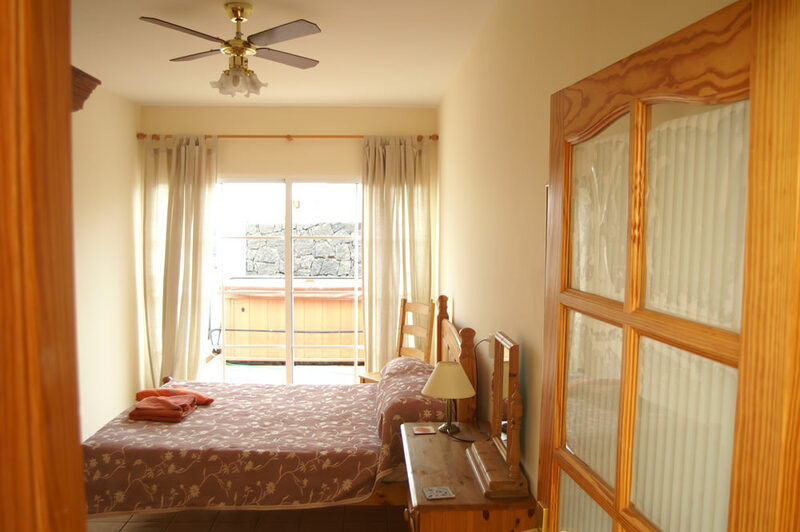 Combined, the two villas can comfortably host a group of sixteen people, plus infants. 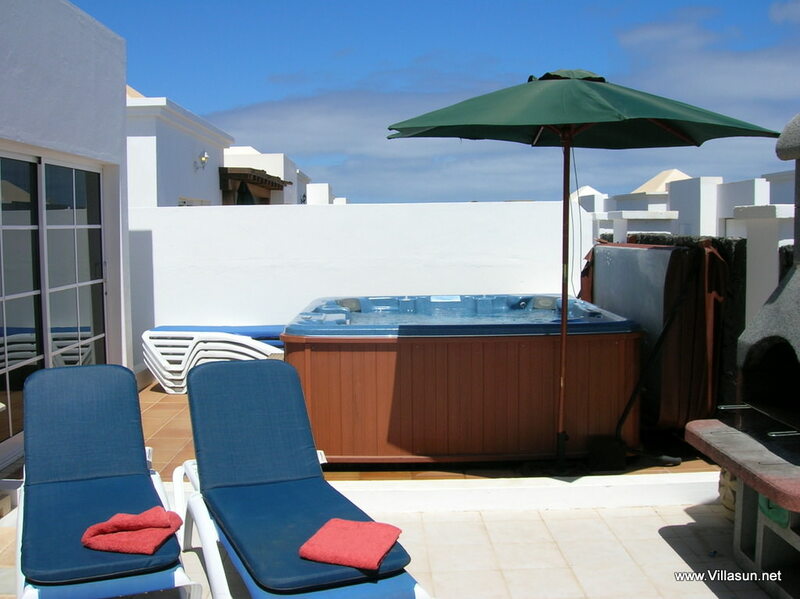 Stayed at Villa Rachel for a week 6 adults and 2 children under 2, the villa was spotlessly clean, has 4 good sized bedrooms with 2 travel cots as requested, the pool was wonderfully warm and the hot tub was glorious. There was only one high chair on arrival however a quick phone call to Adrian (villa rep) and it was sorted. We used Last Minute Travel for transfers and they were excellent with no waiting. We all had a great holiday and would recommend Villa Sun for future holidays. PS: Pushchairs are unloaded on a separate carousel from your luggage at Arrecife airport. Just spent a week in Villa Rachel and have to say it was one of the best holidays we have had. 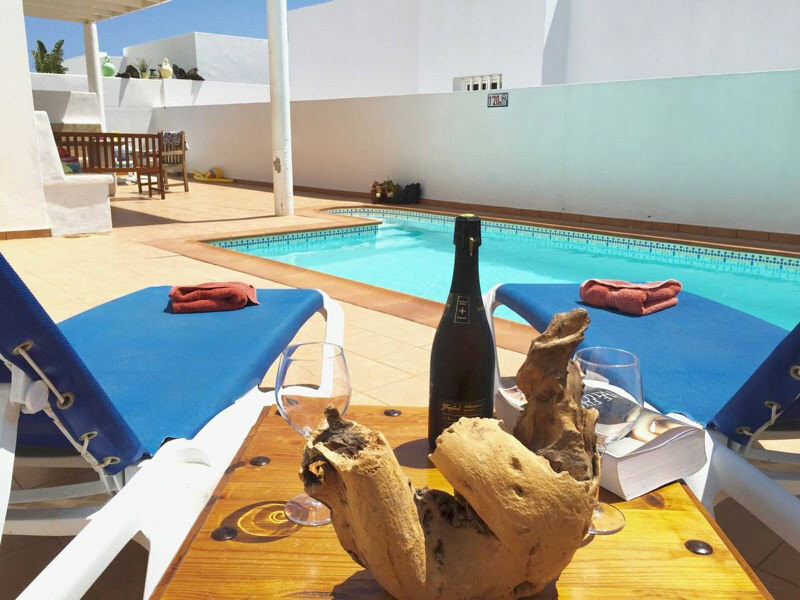 The villa was excellent, everything you needed was there, location was fantastic, so very peaceful during the day and night, and with easy walking distance of all amenities and attractions. Communication with Elaine was very good, won’t hesitate to book again. Thanks for a fantastic holiday. We have just returned from staying a week in Vila Rachel, having stayed in 2 other villas owned by Villasun, I have to say that this villa is of equal high standard. Good quality furniture, beds. Well equipped kitchen. 2 mins walk to the local supermarket. 5/10 mins walk to all the restaurants. Well placed for everything. Only negative comment from me would be the depth of the pool, I am 5.3 and I could only get into half of the pool standing up as I am a non swimmer. Standing at the bottom of the steps the water was up to my shoulders. I think the villa would benefit from having at least one parasol as there is no shade/parasol(s) so if anybody doesn’t like or can’t lie in the sun for too long there is no shaded areas for them to move the beds until very late afternoon when the sun has moved. Other than that I would highly recommend this Vila and will definitely return.